Believe it or not, in India the term “I-pod” has taken a common name for an MP3 player. In the common market, if someone asks you “Which i-pod do you have?”. If you say you have a nano, shuffle, touch… he would be confused! But if you say that you have an Apple, Sony or a Philips i-pod he understands! Person A: What is an i-pod? Person B: It is something that can play music! Not sure if this is a boon or a bane for Apple! Yes, the word “i-pod” is now widely used, but not sure if that is translating to sales for them. Blog also posted at our company web site. Posted on February 5, 2010 Author ChadagaCategories IONLABTags India, Startup2 Comments on Is it an i-pod? 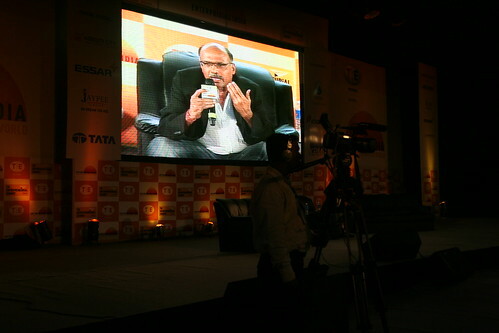 I recently attended the TiE Entrepreneurial Summit 2009 held in Mumbai. It was one of the best organized conference. Hats off to TiE. For the first time I heard all the big industrialist of India speak on stage. This was a three day event and every day was better than the previous. 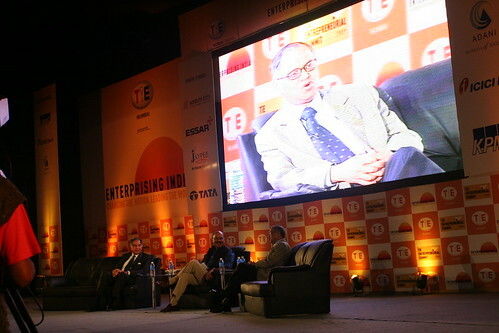 First day the main highlight was the talk of Ratan Tata and Narayan Murthy. I was hoping this talk would be more about their experience and how they had built such an empire, but for some reason it was not moderated that well. The talk was more of a political twist than an Entrepreneurial journey. Nevertheless they both answered the questions asked very well. After this I heard Capt. Gopinath speak. He really seems like the guy who has started from scratch. It was amazing to hear his talk about how he built such a big industry and sold it. He had a vision, a vision that everyone can travel and afford to travel by flight. How he raised money when no one was giving him any money. How he started off with just one aircraft by taking a loan. A very inspiring talk. Now Entrepreneurship has become his lifestyle. He seems to have started a new logistics company. India – How we can make a difference? We see so many problems around us and always wonder why doesn’t the Government do anything about it! We always say the Govt is corrupt and say nothing can be done about it. I always wondered if there is anything that we can do to make a difference in India or is it only in the hands of govt. Here are a few things that I tried my hands. Might be worth giving it a shot! When I came back from the US the first striking thing that hits you is the honking. When you sit down and think for min about honking it is very interesting. Honking has different meanings in different countries. In US it means – “Dude you are making a mistake watch out”, and in India it means – “Dude watch out I’m coming, give way”. How can we make a difference in the noise levels of traffic. The first thing that I did is – “I NEVER HONK IN BANGALORE”. When I first said this, most of them say it is not possible. I’d say it is. If you think about yourself while driving then you have to honk. If you think about others while driving and yield, you will never need to honk. I’d say take this up as a challenge and make a difference! It is very sad to see that urinating in public is legal but kissing in public is questionable! This is a hard one. There is no use in blaming people or the Govt. I’m really glad for Nirmala for installing so many public toilets in the city. But here we need a social movement to make a difference. If everyone of us object people who do it in a very polite way it just might work! The other day when I was running in lalbagh this guy was urinating right next to the public toilet!!! After he was done, I waked up to him and said – “Sir please use the toilet next time”. Don’t know if it helped, but I did my job. Again these are very small problems, might not even be considered as real life problems in India, but, the point is to act on every problem to make a difference. Germany rebuilt itself from ashes after the world war. If someone says it was the Govt alone, I’d disagree. I believe a country can do better only if people work towards the betterment. We as Indians should believe in our own people only then we can make a HUGE difference. Posted on May 12, 2009 Author ChadagaCategories LifeTags Bangalore, India3 Comments on India – How we can make a difference? 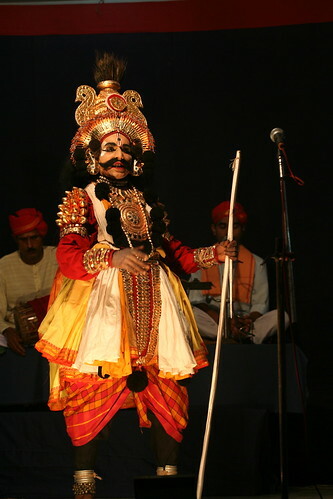 Yakshagana is a dance drama popular in the state of Karnataka, India. It is believed to have evolved from pre classical music form and theatrical arts. 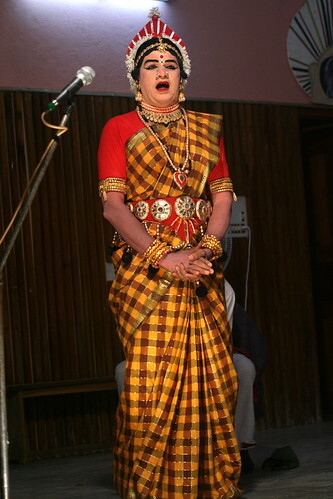 Yakshagana is popular in the districts of Uttara Kannada, Shivamogga, Udupi, Dakshina Kannada and Kasaragod district of Kerala. Actors wear costumes and enact the various roles. Traditionally, Yakshaganas would go on all night. It is sometimes simply called as Aataā in both Kannada and Tulu (meaning play). Yaksha-gana literally means the song (gana) of a Yaksha. Yakshas were an exotic tribe mentioned in the Sanskrit literature of ancient India. Info from Wikipedia. I recently had been to my native place for a couple of days for the inauguration of Ramadevi Chadaga Memorial Hall, built by my Uncle Mr. Chandrashekar Chadaga and My dad Mr. Vadiraja Chadaga. It has been their dream to make this happen in a place where they grew up. I had the opportunity to see Yakshagana performance at the end of the inaugural event. At first I couldn’t understand what the narrator was saying. But later when I understood it I started enjoying the whole show. What is very interesting about this is that it is only men who participate in this event. All the women roles are also played by men. This festival is unique to Bull temple, Bangalore. The legend has it that the surrounding area of the temple, known as Sunkenahalli was cultivated for groundnut. A bull started grazing in the well-grown groundnut crop, at this, a farmer got furious and hit the bull with a club. Immediately the bull sat down becoming motionless and was transformed into a stone. Poor farmers were left stun and felt guilty. For their repentance they decided to build a temple for the bull, to their surprise the bull was growing in height. The worried farmer then prayed to Lord Shiva who advised them to redeem a trident buried a few feet away from the bull and place the trident on the forehead of the stone statue to stop it from growing. Farmers followed the Lord’s advice and the bull stopped growing. Still one can see the trident place on bull’s forehead. Since then farmers offer their first crop of groundnut to the bull. The farmer’s hold a Groundnut fair known as Kadalekayi Parishe, near the temple premises every year, to show their thankfulness. It is one of the worth visiting places in Bangalore. I studied in B.M.S. College of Engineering which is right across the Bull temple, and I had never been to this festival. When I reached the place, I could see lots of stalls around. Huge piles of groundnuts and people selling them.